Hello, Spring! If you’re looking for beautiful decor ideas for spring, read on to see 10 beautiful spring home tours! 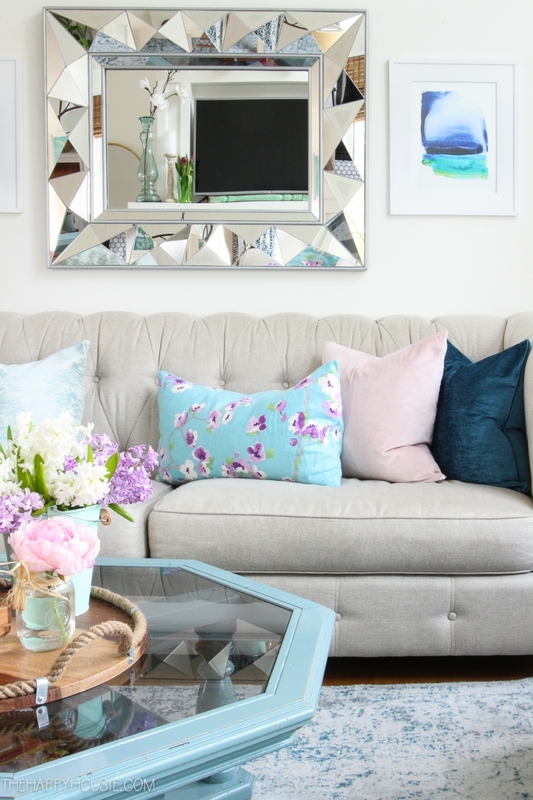 Welcome spring in your home with these gorgeous ideas! 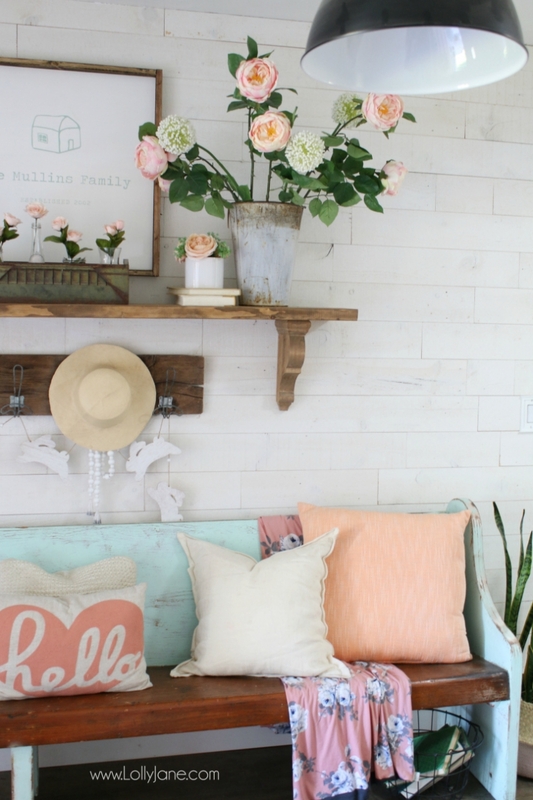 Bloggers have been sharing their spring home tours over the last few weeks, and I wanted to share some of their ideas with you. Please be sure to click the blue/gray links to be taken to the original source, and also, for more great pics from that particular blogger. Hello, spring! We’re all so happy to greet you! 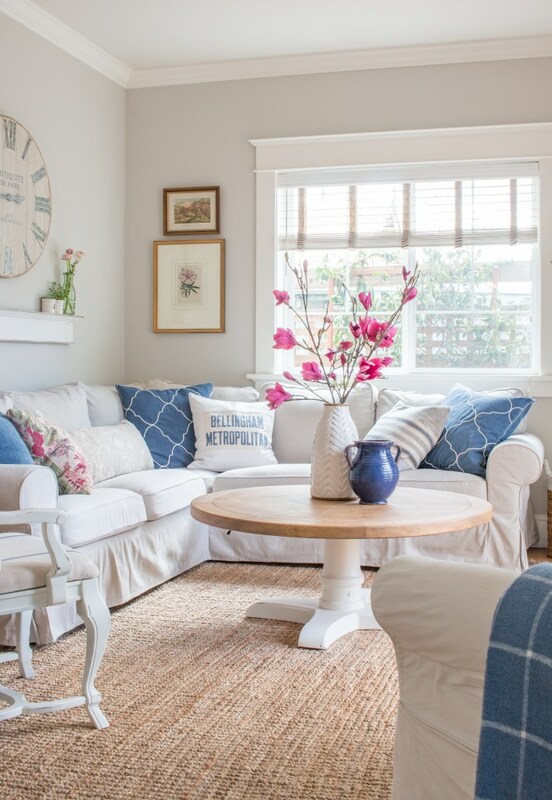 Blue and white is a crisp and clean color palette to implement for spring. 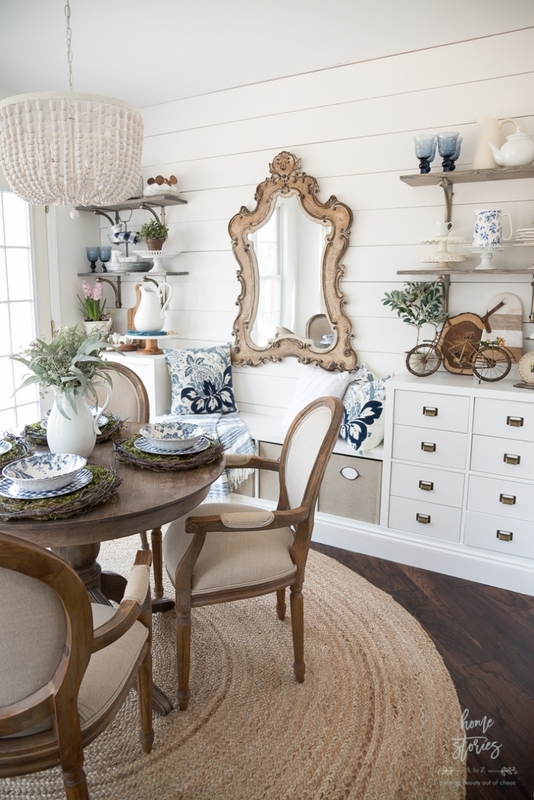 Glean some simple shelf-styling and table top tips in this post showing off a spring breakfast room! 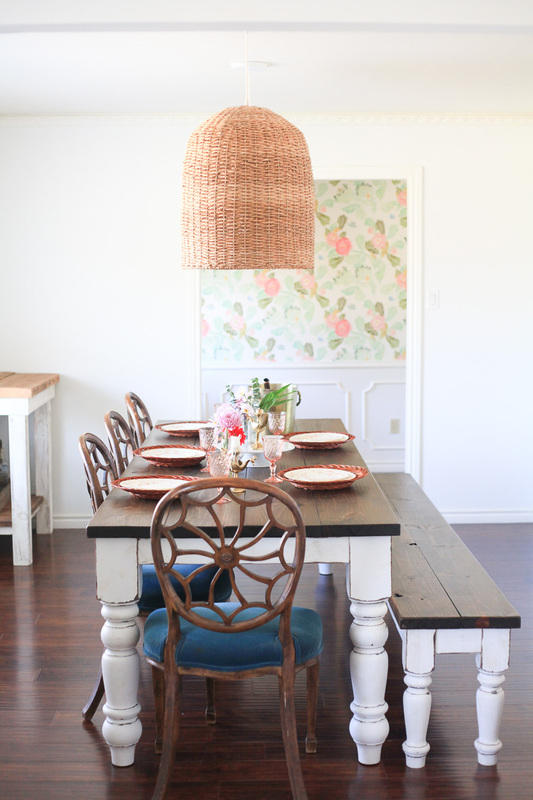 Here is a creative idea for changing up your dining space for spring! 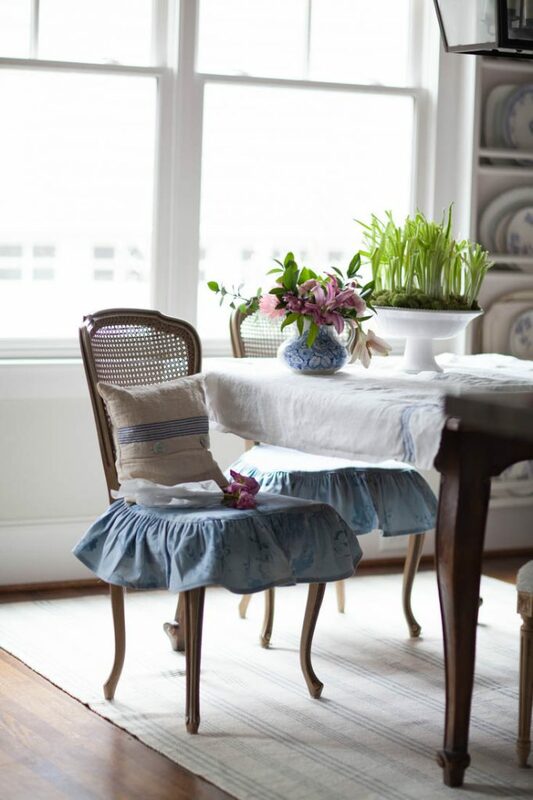 Dress up your dining room chairs with a custom-made slipcover. Click the link above to see how Anita did it! Susan has a gorgeous home and she takes such beautiful photos to showcase it for us! This is a spring tour you don’t want to miss! Click here to see her beautiful tour. I’m a fan of Jamie’s french country style and always look forward to her home tours. Jamie has a new book coming out where she will be sharing her best french country tutorials and decor secrets with us! Karianne is a gifted stylist and her home tours never disappoint! She recently moved into her childhood home in Texas, and it’s fun to see her make her new/old home her own! Tania has a gorgeous home and she and her husband are talented home flippers! 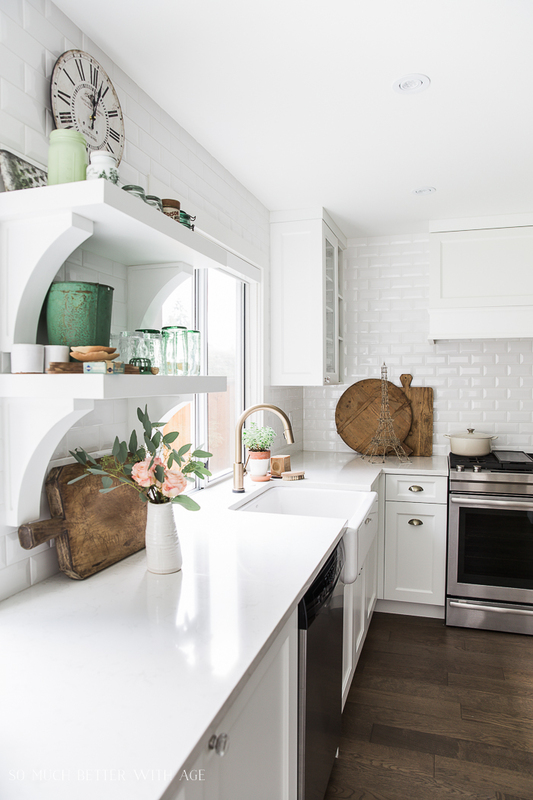 Tour her current spring home and take a peek at some of the previous homes she and her husband have worked on together. You will be inspired to tackle your own neglected rooms after seeing her work! Krista’s blog is aptly named because each time I visit I feel happy looking at her bright and cheerful spaces! 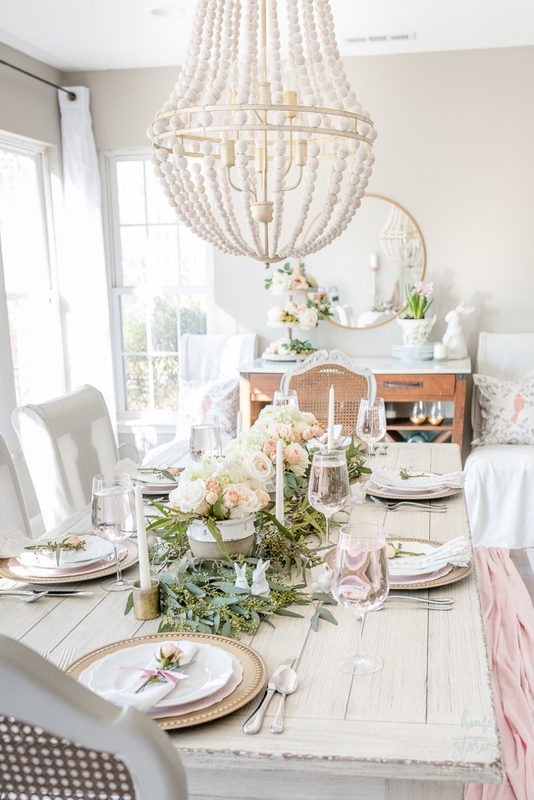 This post is full of budget-friendly tips on how to affordably decorate a spring tablescape! 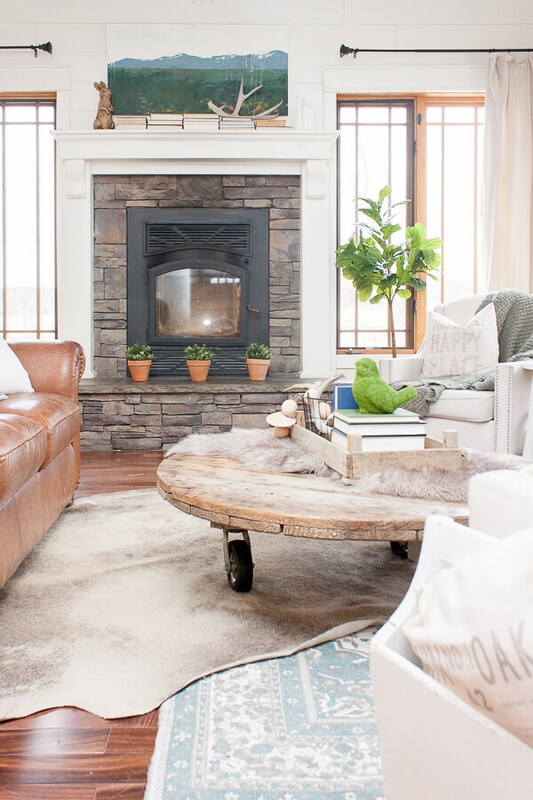 Layered rugs and an eclectic mix of beautiful decor is just some of what you’ll find at Sara’s house! Go see her gorgeous original artwork pieces up close! We will end our roundup with a reminder that decorating for spring can be as simple as greeting them at the doorway with a welcoming vignette and cute artwork! This post includes an easy tutorial on how to create your own Floral Wood Sign. Hi Beth! Thank you so much for featuring our spring hone tour:) Happy Easter! Your home is lovely and your photography is gorgeous! Thanks for allowing me to share your home with my readers!